Relax and discover Shrewsbury. Pay £1 on Sundays. 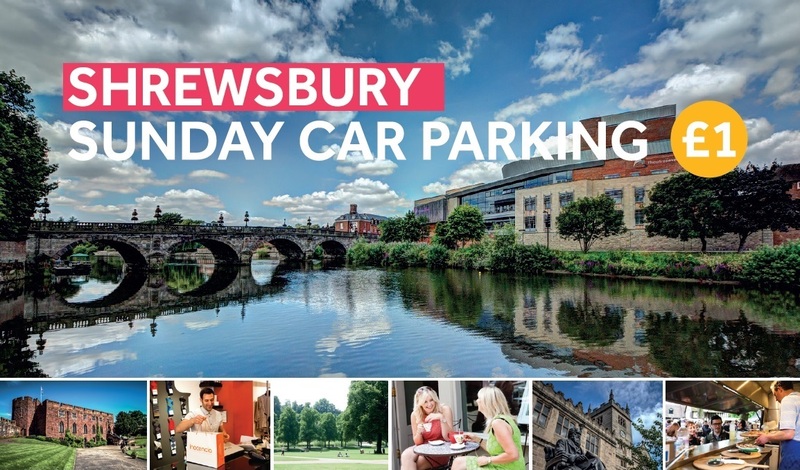 Pay £1 and park all day in long stay car parks or pay £1 and park for the maximum stay in short stay car parks across all Shropshire Council and privately owned car parks in Shrewsbury on Sundays.